In PushClU game, as well as in life, for achievement of the aim it is necessary by something to offer, here free space of a field. Those will come to a victory, who correctly will estimate result and degree of a sacrifice. The game can be related to a classical type of games, but with original rules. The aim of the game is the deleting from a field of multi-coloured blocks, placedon it. ...... four, five or more blocks of one colour. In this case line, column, diagonal or all together will disappear. 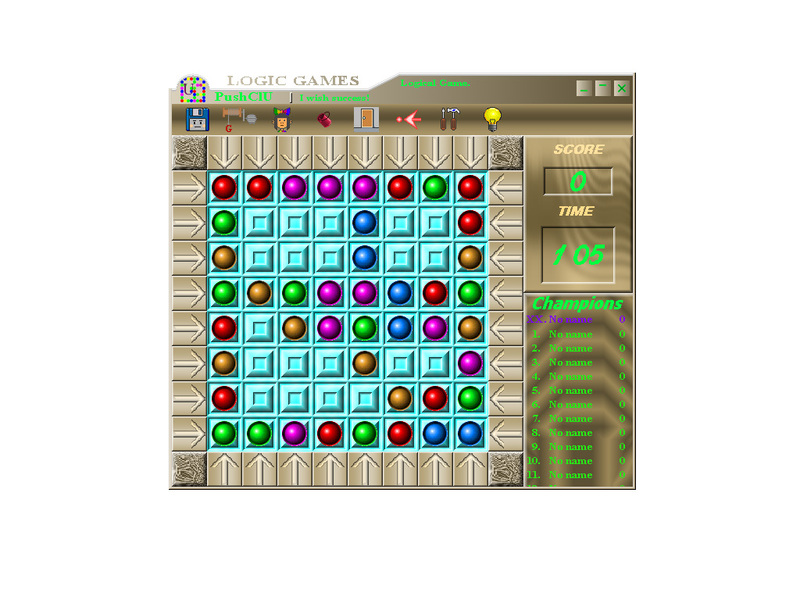 The moving of blocks is executed by pressing of buttons located on perimeter of a game field. At each pressing all blocks in a line or column are displaced on one crate of a field, and in a released crate the new block is located. The moving is made only in that case, when in a line or column there are empty crates. Thus, each course reduces free area of a field, and the deleting of blocks increases it. At each deleting of blocks your score is increased. The game proceeds while on a field there are free crates. Winclear cleans up all tracks of your Internet and computer activity. DocClear allows you to quickly and easily manage your Documents menu. Qweas is providing links to PushClU (Push&Clear Unlimited) 3.00 as a courtesy, and makes no representations regarding PushClU (Push&Clear Unlimited) or any other applications or any information related thereto. Any questions, complaints or claims regarding this application PushClU (Push&Clear Unlimited) 3.00 must be directed to the appropriate software vendor. You may click the publisher link of PushClU (Push&Clear Unlimited) on the top of this page to get more details about the vendor.